I hope everyone had a great weekend and has Monday off! My weekend was pretty relaxing, though I do have to work on Monday. boooo! haha, oh well. 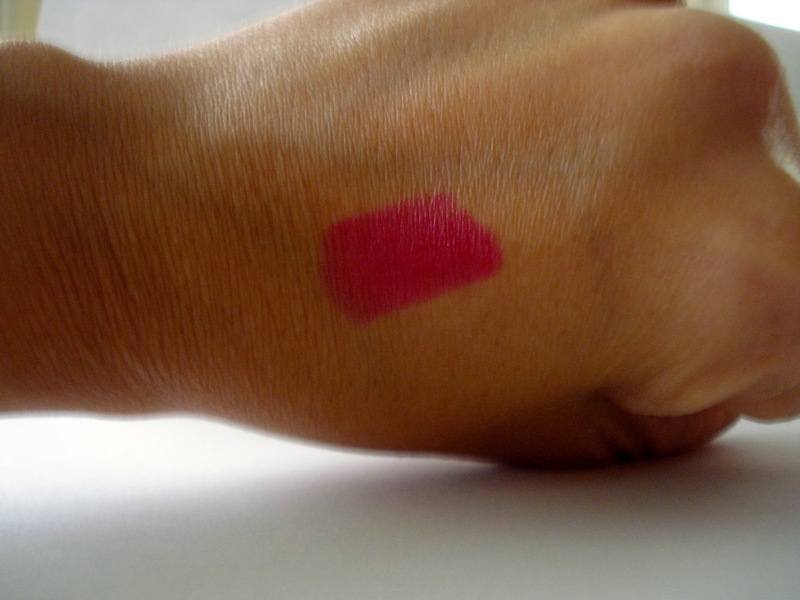 Admittedly, I'm not a huge wearer of lipstick. My upper lip is pretty thin and I feel like dramatic colors really emphasize that. That said, I do own quite a few lipsticks and I'm pretty darn tempted to try the new Urban Decay Revolution Lipsticks since I don't think I've heard or read anything bad about those yet! 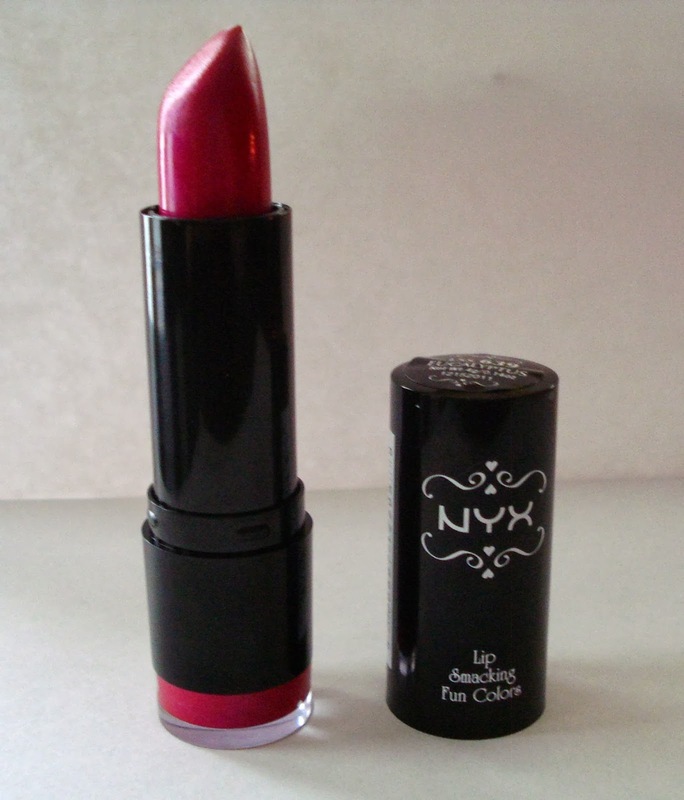 NYX says: "NYX Extra Creamy Round Lipstick is our classic lipstick for all occasions. The mineral-based emollient formula offers a beautiful velvet texture, saturated color and it resists wear and smudging." 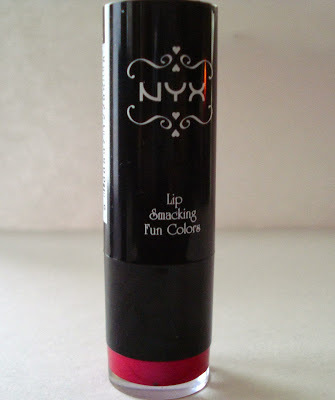 This NYX lipstick comes in a TON of colors. 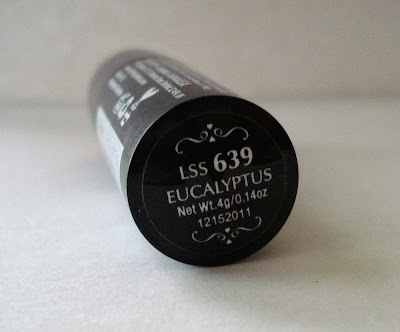 I got mine from an Ipsy bag and the color, Eucalyptus, is a really gorgeous bright fuchsia. It's super creamy going on and feels very moisturizing. The color is gorgeous but to be honest it doesn't "resist wear and smudging" as the description claims. I'm a lip biter (trying to quit though!) so this lasts about 10 minutes on me. 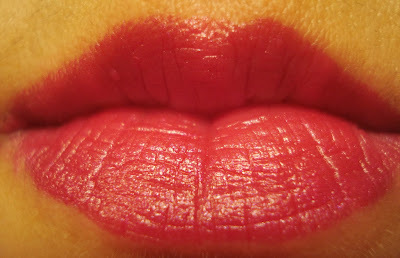 Even when I consciously don't bite or lick my lips, the color transfers like crazy (napkins, spoons, straws, etc.). I did discover one fun trick though: if I apply this at night right before bed I wake up with pink stained lips the next day and it actually lasts about 3 hours! So that's basically all I'm going to use this lipstick for because if I were to wear it on a night out, I'd have to reapply every few minutes. How do you guys feels about NYX lipsticks? Can anyone recommend a lipstick to me that truly doesn't budge? ?